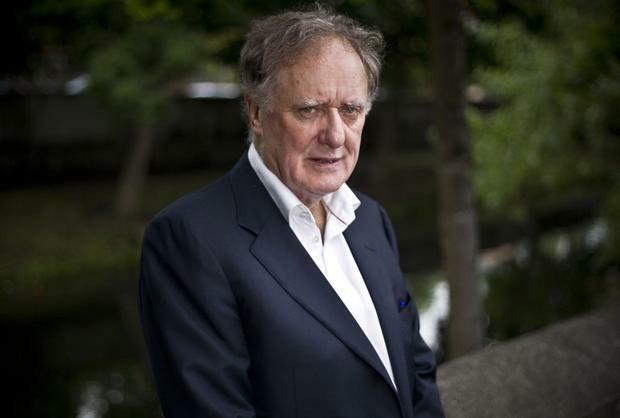 Broadcaster Vincent Browne will not return to air until September 8, independent.ie can reveal. The journalist revealed tonight that he got pneumonia last month but continued to work - and he unfortunately then ended up in hospital. Now, the presenter will not return to his week-night programme 'Tonight with Vincent Browne' until the autumn. The TV3 presenter was admitted to St Vincent's Private Hospital in south Dublin over the weekend. He said tonight on Twitter: "RE leave from Tonight programme: got pneumonia last month continued working, unfortunately ended up in hospital. Will be back on air 8th Sept."
A source confirmed that the 69-year-old was feeling "under the weather" last month but did not take time off from the commercial station to recover properly. With the European and local elections taking place at the time, it was a particularly busy period for the current affairs anchor. "Everyone was flat out with all the elections coverage and his situation stemmed from there," the source said. "He decided to power through it and not take a few days off sick, so it got worse and now he's been forced to take a proper break in a hospital bed because he's so worn out and completely drained." Browne was scheduled to present his late-night slot until the end of this week, before taking an extended break over the summer. However, RTE rugby presenter Tom McGurk was brought in at the last minute to fill in for the host. A spokesperson for TV3 declined to comment on the reason for Browne's absence. "He is on medical leave and is taking his summer break," the spokesperson said. "He will be back on September 8." It comes weeks after two producers quit just months after joining the show. Betty Purcell, a former RTE producer, and Sean MacCarthaigh decided to resign in May.